Most people know which hairstyle suits their face shape but a celebrity hairdresser has revealed that it's actually where you part your hair that can make all the difference. Jordan Garrett, a celebrity stylist who has worked with Mollie King and Olivia Palermo, insists there's a specific parting for each face shape. 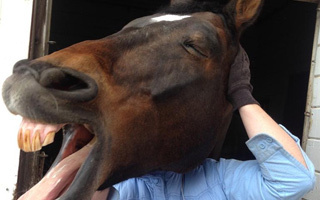 He says that choosing the right one for yours can make you look your most attractive, knock pounds off your face and soften any harsh features. Here, he shares the simple formula for matching your parting to your face shape to elongate your features, enhance your cheekbones, soften sharp angles and slim your face. This shape, which Jessica Alba and Cat Deeley are the proud owners of, is one of the most versatile and suits any look. Jordan advises keeping the parting in the middle to elongate the face. 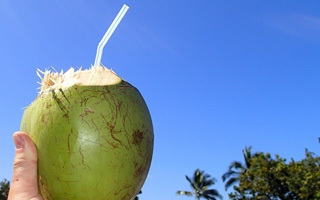 If you have a fringe, he says you should keep the bangs longer around the face to square off roundness. If, like Jennifer Lawrence, you possess a round face, you need to focus on creating structure by focusing on a centre parting. Splitting your hair down the middle will help create the illusion of length and symmetry. 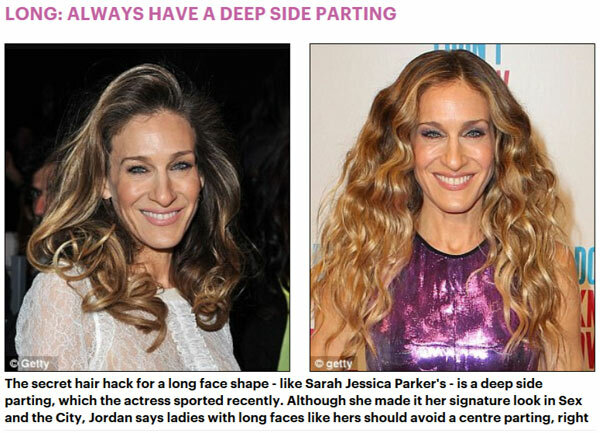 The secret hair hack for a long face shape - like Sarah Jessica Parker's - is to avoid a centre parting. 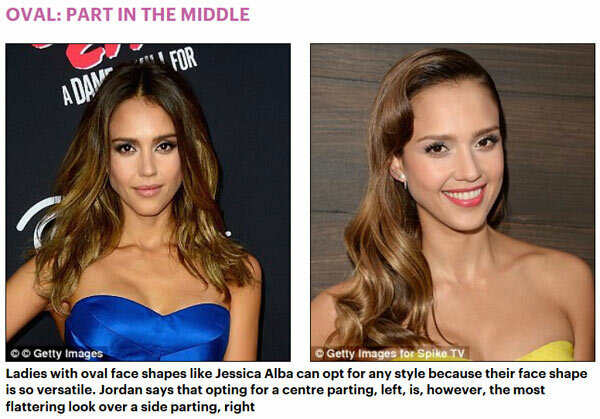 Jordan says ladies with longer faces should always plump for a deep side parting to give the face shape more width. Whilst most women want to elongate their faces, ladies with longer faces can enhance their looks with a side parting. If, like Scarlett Johansson, you have a heart face shape, Jordan says a severe side parting is the best way to wear your hair because it breaks up you chin line.